Fangirls get a bad rap all the time - people say we're weird, hysterical, obsessed, certifiable. But those people don't understand. Just because we're fangirls, doesn't mean we're crazy. It's important you know that up front. Because everything I'm about to tell you is going to seem . . . well, crazy. 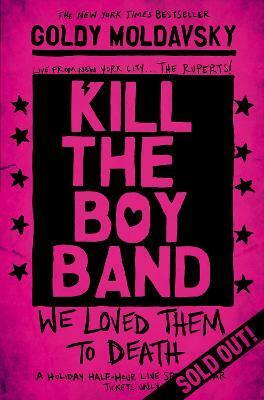 From thrilling debut author Goldy Moldavsky comes Kill The Boy Band, a pitch-black, hilarious take on modern fandom and the badass girls who have the power to make - or break - the people we call 'celebrities'. Goldy Moldavsky has a BA in Journalism from Brooklyn College, and her non-fiction work has appeared in MovieMaker magazine. She is the author of Kill the Boy Band.